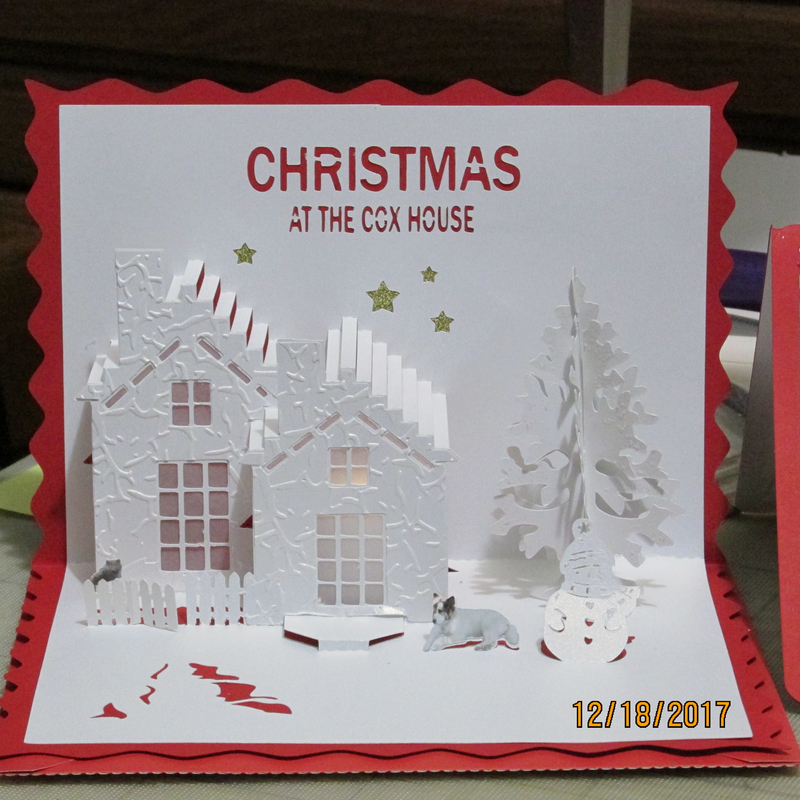 Made this card for my husband at Christmas. The cat and dog photo are actual photos of our pets. Deleted the words and sent the PCS file to the gallery; also to the MTC gallery but my stuff almost nevers gets there so thought I'd include it here also. Oh I have such trouble with Christmas trees in PCS; never enough room to get them securely anchored. So I substituted a slice form tree. This is so pretty! Thank you for sharing it! I'm impressed - that's so stylish - well done. The embossing really adds a lot to the look. Very nicely done. thank you for sharing, very nice.